Grammy Award-winning Paavo Järvi has been the Chief Conductor of the Frankfurt Radio Symphony Orchestra (hr-Sinfonieorchester) since 2006. The Estonian has already won many awards and is now one of the most successful conductors on the international music scene. He is a highly desired guest among the renowned orchestras of Europe, America and Japan. Born in Tallinn, Paavo Järvi studied percussion and conducting at his home town's School of Music. In 1980 he moved to the USA where he continued his studies at the Curtis Institute of Music Philadelphia and at the Los Angeles Philharmonic Institute under Leonard Bernstein. After working as Principle Guest Conductor at the Royal Stockholm Philharmonic and the City of Birmingham Symphony Orchestra, he became Chief Conductor of the Cincinnati Symphony Orchestra (2001) and Artistic Director of the Deutsche Kammerphilharmonie Bremen (2004). 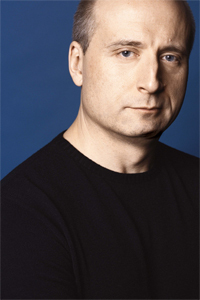 Since the 2010/11 season, in addition Paavo Järvi is Music Director of the Orchestre de Paris. Paavo Järvi regularly enjoys success as a guest conductor with many of the major orchestras around the world, including the New York Philharmonic, the Chicago Symphony Orchestra, the Los Angeles Philharmonic, the Boston Symphony Orchestra, the Vienna Philharmonic, the Philharmonia Orchestra London, the Dresdner Staatskapelle, the Symphonieorchester des Bayerischen Rundfunks, the Concertgebouw Orchestra Amsterdam, the Tonhalle Orchester Zürich, the Milan Scala Orchestra and the NHK Symphony Orchestra Tokyo. In 2010, Paavo Järvi was named „Conductor of the Year" at the German ECHO Classics Awards.